Classic comfort foods–grilled cheese, cinnamon buns, donuts, burgers, and pies–are as popular as ever. They tap into a nostalgia for simpler times, which is also one of the driving factors in the rise of adult coloring activities. 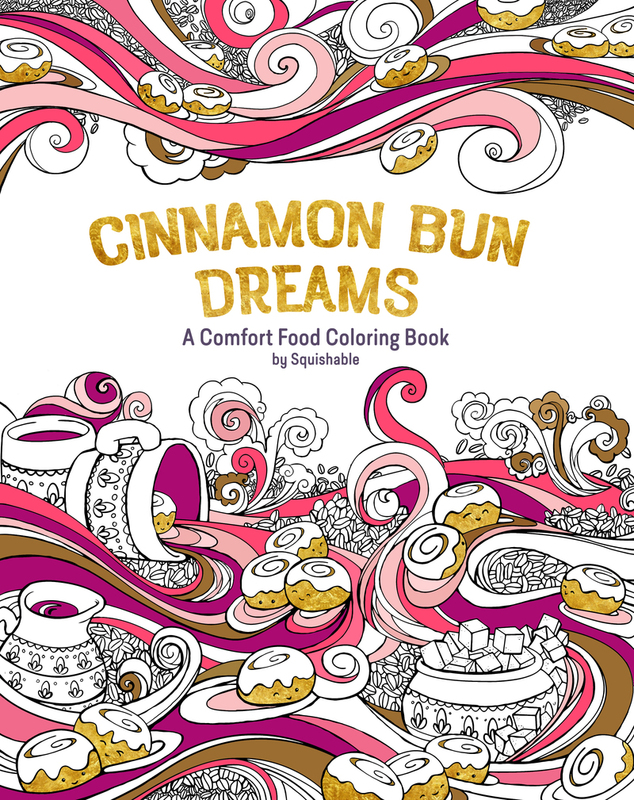 Like those foods, coloring books are finding a stronghold in our daily lives. So when hand-drawn comfort foods serve as the springboard for complex coloring designs, including repeating patterns, mandalas, abstract scenes, and kaleidoscopes, the result is nothing short of extraordinary. Mindful and meditative coloring is great for the brain, but these images add an element of play that is sometimes missing in adult coloring books. They are by turns surprising and eccentric--a wall of pie slices resembles something worthy of Wayne Thiebaud, a river of coffee bobbing with donuts is Willy Wonka-esque, and the influence of pop artists such as Andy Warhol is visible throughout the 60-plus original designs. Printed on perforated, heavy paper, these illustrations are a terrific addition to the coloring book genre. Squishable.com, Inc. is a manufacturer and ecommerce retailer of crowdsourced designer plush toys and lifestyle products, including the best-selling Squishable Comfort Food line. Since the company’s inception in 2007, it has sold more than a million units of its signature products, and has almost one million fans on Facebook and significant presences in all major social media networks. Aaron Glazer and Zoe Fraade-Blanar, Squishable’s management team, live and work in New York City.